Working on the public side of the fabric allows you to see the pattern that you’re forming. Stranded knitting is much faster than stranded purling. Stranded edges can be unsightly and uneven. Fast-forward to today–a time when the idea of steeking makes most of us feel faint and queasy. There are many patterns out there nowadays that call for some (or all) of the stranding to be worked flat. And while I don’t have any tips to address the first two items on the above list, I do have a solution for the third. In this first photo, you’ll notice that I’ve been working in the round and am just now starting my flat stranding. The edges that I create will be enclosed in a seam, so they don’t have to look perfect, but I also don’t want to create any holes that I’ll regret when it’s time to sew. In order to keep things nice and neat, I’ve worked the first and last stitch of each stranded row with both colors of yarn. This locks both strands in place and keeps them all going in the proper direction. Here’s a shot of the back. Notice how neat the stranding looks. It’s best to use this when the resulting edge will be enclosed in a seam, as the edge stitch will not be in pattern. Of course, you could always make extra edge stitches if you were doing something that didn’t involve a seam (such as a scarf). The double edges could be both decorative and functional. 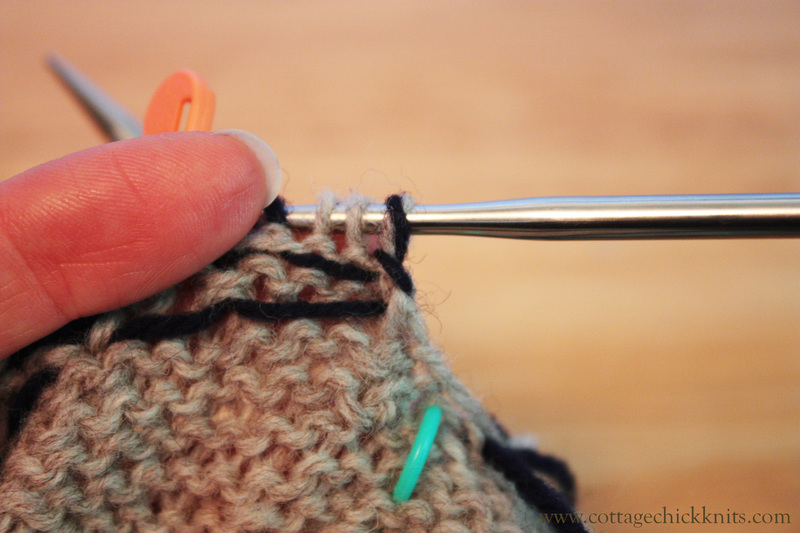 Working the edge stitch with both yarns does create a little more bulk, so be careful when using this on thick yarn. 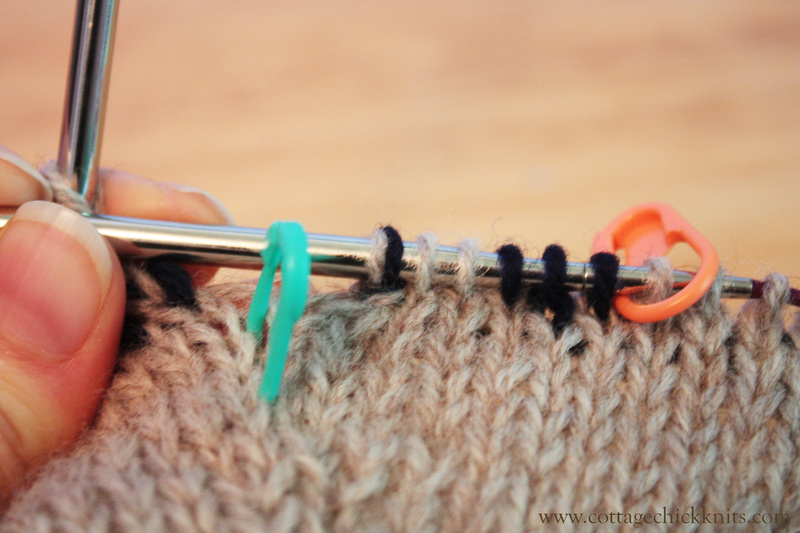 Slipping the first stitch of each row and always working the last stitch double will minimize bulk. In conclusion, working stranded knitting flat can be a bit of a pain, but once you get the hang of turning the edges, it gets much easier. How about you? Have you ever had to work flat stranded knitting? Please share below!